Quite often when you download something over the internet like a file it usually comes compressed into a file RAR example: file.rar. But if you click on it you’re gonna get an error message saying that the file is not recognized or it’s damaged or corrupted or simply cannot open, in order to open it you need a software that can recognize the .rar file and extract all the files inside of it so today you will learn how to open rar files. What this file does ? This file is simply a way to compress huge files and multiple files into one single file and save a lot of disk space by doing so. It’s also a good way to send and receive files since it’s a single file and compressed into a much smaller size. Now right click on the rar file you want to open and click “extract files…” and click “OK”. 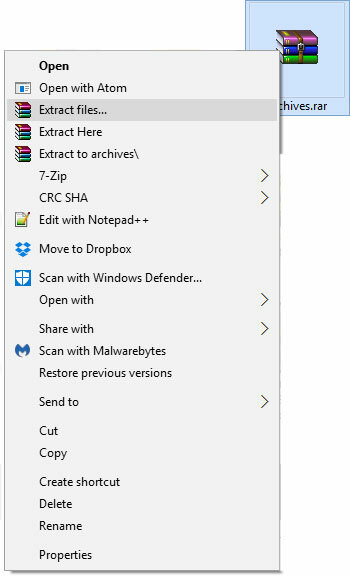 Your computer will now start extracting the files inside and depending on how big the file is it can take several minutes or seconds. 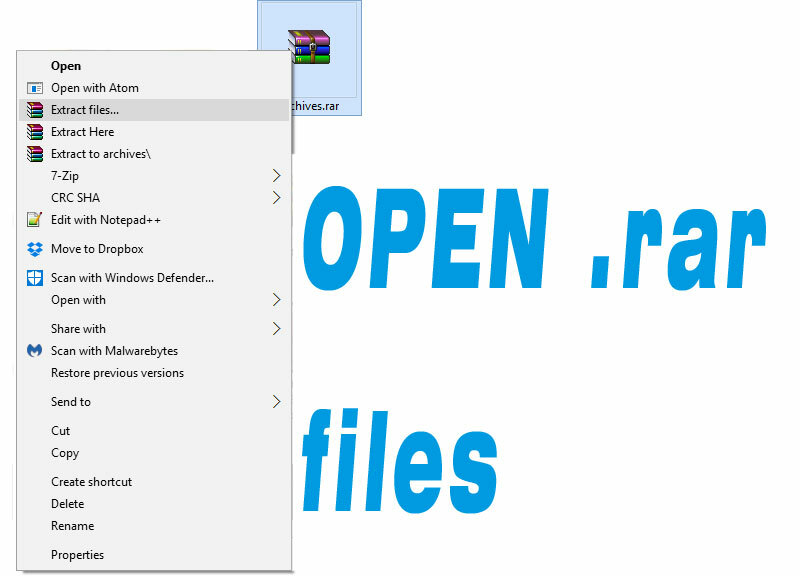 Once it’s complete the files will be in a folder with the same name as the rar file you just extracted. It’s also possible to compress your own files into a compact rar file and save lots of space! Drag all your files you want to compress into a folder. All the files will now be compressed into a rar file and reduce space dramatically! Do you have any question or need extra help ? Leave a comment below or contact us!